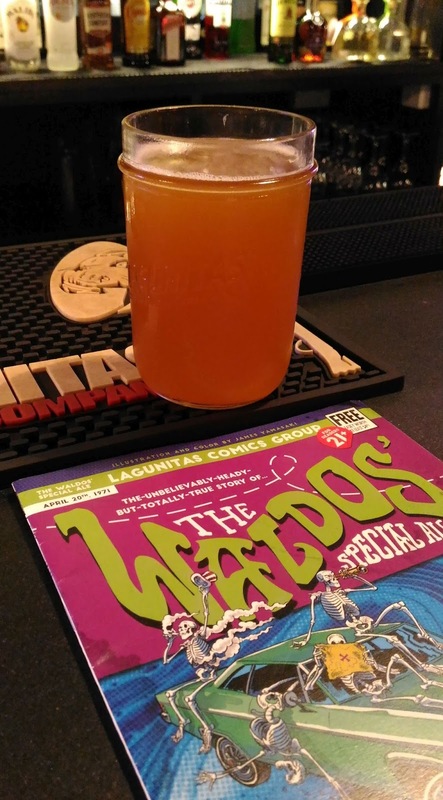 It's 4.20pm on April 20th – 4/20 in American parlance – and Lagunitas Brewery market manager Finny is in London for the 2018 launch of Waldo's Special Ale, one of the brewery's annual one-offs. "Happy 4:20!" 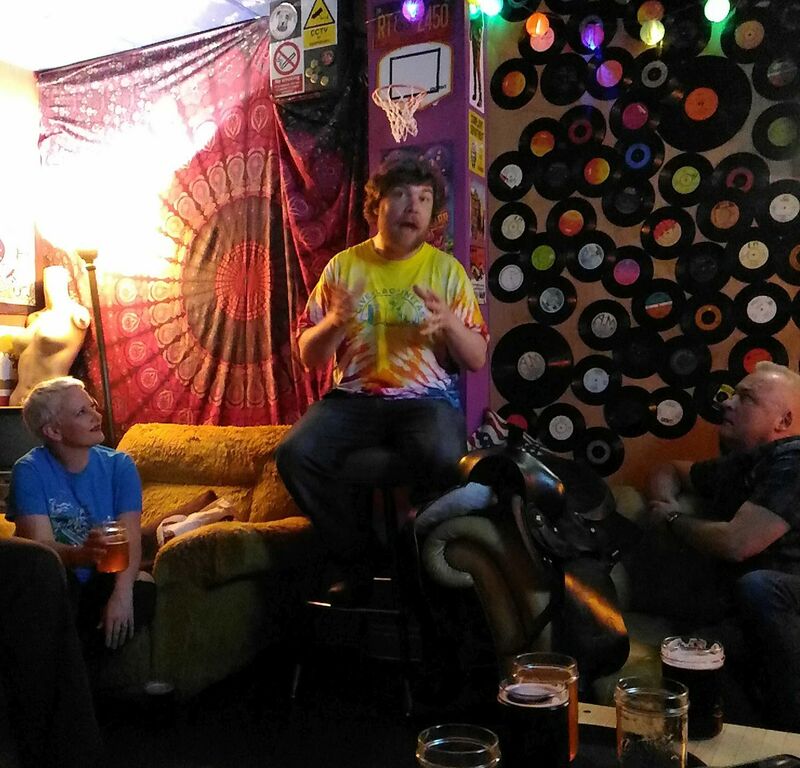 he announces merrily, before taking a mouthful of the beer and launching into its origin story. Finny – real name Andrew Finsness, but known to all by his nickname – clearly loves telling a story. This one is the 1971 tale of five high school students, who called themselves the Waldos because their favoured hang-out was by the school wall. They had acquired a 'treasure map' which would allegedly lead them to an abandoned marijuana plantation, and they agreed to meet at 4.20pm each day after school to go and look for it. The way the story goes, they never found it, but somehow "4:20" entered the counter-culture as a term for smoking a joint. Then 40 years later, the founders of Lagunitas – who knew the term well – made a connection. Hops and marijuana are closely related plants, so with richly herbaceous and hop-forward ('dank') beers in vogue, they got in touch with the Waldos and invited them to come and help brew a beer that would both celebrate the 420 legend and that herbal sub-culture. 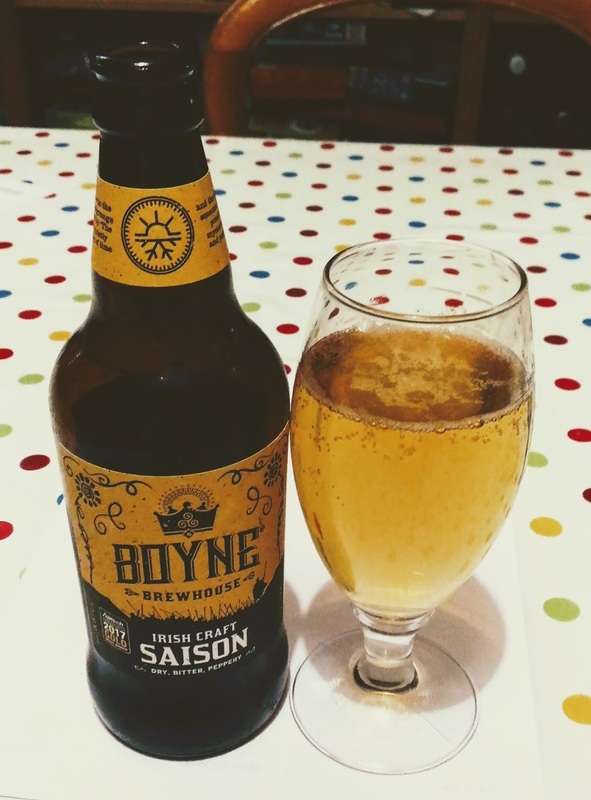 The result is a triple IPA – triple in this sense means above about 10% alcohol, says Finny – that is brewed just once a year. That might not sound much, but the brew length at Lagunitas is 250 US barrels, which is a shade under 30,000 litres, and most of its fermenters take three brews, so a single batch is almost 90,000 litres or a quarter of a million bottles. The beer varies a little from year to year in terms of alcohol strength (it's 11.3% this year) and the exact mix of hops, but regardless of that, it is the hoppiest and dankest beer that the brewery produces. And what a brew it is – rich and flavoursome, very bitter, yet well balanced because of its smooth and dank texture. It's also the first time that it had officially crossed the Atlantic, with April 20th launch events in several European cities. This, as Finny and his colleagues acknowledge, is one of the welcome results of Heineken's 2017 takeover of Lagunitas – it's now the craft flagship of the Heineken empire family, and has the Dutch giant's marketing and distribution muscle behind it. Indeed, apart from a growing confidence and ambition, it is hard to tell that much has changed at Lagunitas since the acquisition – the playful, charitable and iconoclastic family feel is still in evidence. One has to hope that this will last. If your idea of Irish mead is that rich and smooth, but tooth-crackingly sweet Bunratty stuff, you could be in for not one but two pleasant surprises. 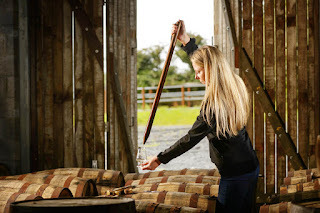 The first, Kinsale Atlantic Dry, is a light, crisp and flavoursome honey-wine – dry, yet still a little soft on the palate. The second, Wild Red Mead, is a gorgeous red Melomel (fruited mead) which while still distinctly honey-toned, also carries the berry notes of rich red wines. 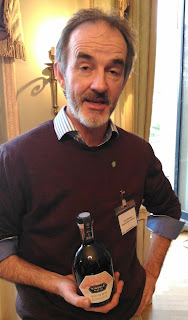 When we met at last month's Irish drinks event at the London embassy, its creator Denis Dempsey (left) explained that where the Dry is fermented with 300kg of honey per batch, the Red replaces just 40kg of the honey with an astonishing 400kg of Irish blackcurrants and cherries – hence those lovely fruity Cabernet notes. "Even sweet blackcurrants are only 14% sugar," he said, as we compared notes on mead-making. 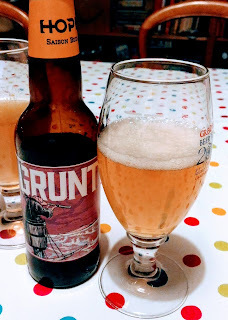 With my own redcurrant Melomel, I found that the dryness from swapping half a pound of honey for a pound of fruit (so 2:1 rather than 10:1, on my far smaller batches) accentuated the tangy currant flavours, but he's aiming for a richer, rounder result – and he hits that target most excellently. Although his meads are made in Kinsale in West Cork – "an amazing foodie place," as Denis put it – and the fruit is Irish, the honey is Spanish because Ireland simply doesn't produce enough to be cost-effective. The mead retails at €22 (around £20) a bottle as it is. The amazing thing, given how very good the meads are, is that he and his wife Kate only set up Kinsale Mead Co last year. Denis said their research included visiting a number of meaderies in the US – there are dozens of them there, making a huge variety of drinks. They also did test brews and tried different yeasts (they mostly use a white wine yeast now) before launching in Ireland last September. We talked a little more about mead-making techniques, before Denis added a piece of advice for mead consumption: "It works well in cocktails, too," he said. Now there's an intriguing thought! 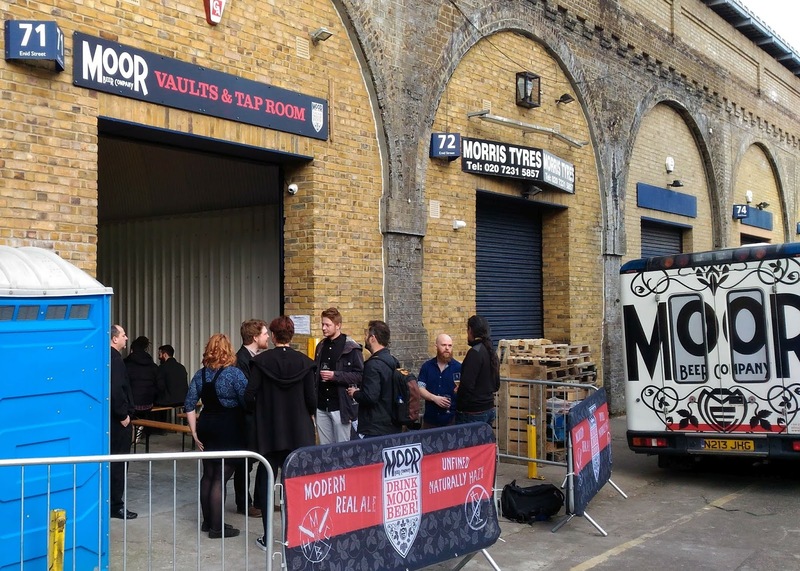 Moor Beer's new Vaults and Taproom in London's Bermondsey is now officially open – it's actually been open for several weeks, but perhaps that was unofficial opening! Anyway, Friday last week saw various writers and other people from the beer business come to meet brewer Justin Hawke, sample his beers, take a look around his new venture, and if they chose, stay on for Arrogant Sour London, a festival of yes, sour beers from Italy that Justin was hosting that evening. 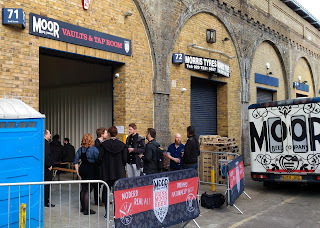 Located in the inevitable railway arch, the Moor Taproom is just a few doors (or arches) up from Brew by Numbers and The Kernel, and is on the other side of the viaduct from Anspach & Hobday, UBrew and BottleShop – yes, it's the latest addition to the Bermondsey Beer Mile. Indeed, one of the first people I saw on arriving was Kernel owner Evin O'Riordain, chatting with Draft House head of beer Alex Stevenson while making a neighbourly visit. 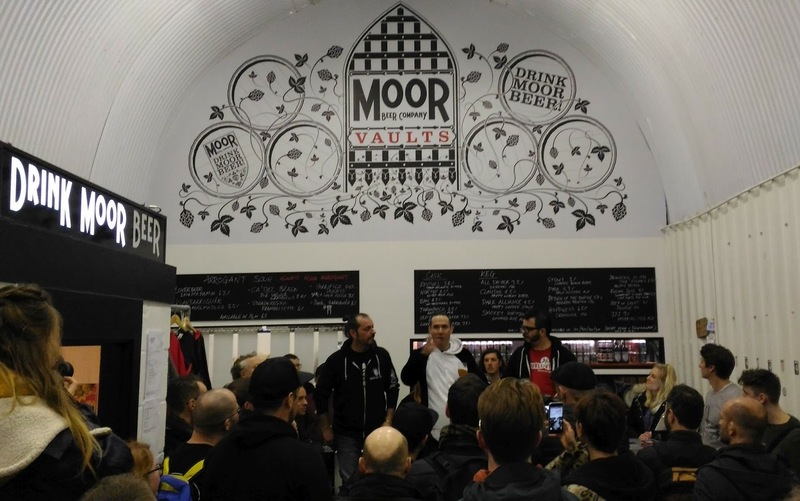 As the name implies, this isn't going to house a brewery – that's staying put in Bristol, where Moor's original taproom is. 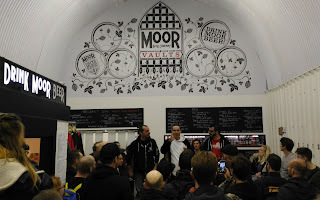 But as well as a bar, it is also Moor's distribution hub for the London area and its new barrel-store – Justin explained that they've totally run out of space in Bristol, so it makes sense to move his barrel-ageing work to London, even at four times the rent. Moor is committed to both cask and keg beers, and both feature on the bar here – six casks on a gravity stillage visible behind the bar, plus a dozen keg taps. On our visit the cask ales ranged from 3.8% Revival pale ale, to the stunningly good 7.3% Luke Sloewalker, which is Moor's Old Freddy Walker* strong ale, aged on Justin's hand-picked local sloes. The kegs featured several more Star Wars-inspired names, including Return of the Empire IPA, Dark Alliance stout, and a wonderful 8% Double New England IPA called Rey of Light. It all backs up what I discovered a few weeks ago – that the Bermondsey beer scene is undergoing growth and a welcome revival. Hopefully, this time it won't get swamped by stag parties and inadequate toilet facilities! *This multi-award-winning ale and the slogan "Drink Moor Beer" are all that's left of the brewery's former incarnation on a farm in North Somerset.